This Security and Privacy Statement applies to this website which is operated by Gubba Products Ltd under the domain name "www.gubba.co.nz" (Gubba website). Gubba understands and appreciates that you, as a Gubba website visitor, are concerned about your privacy and about the confidentiality and security of information we may gain about you online. Gubba is committed to protecting your privacy. This Gubba Security and Privacy Statement explains how your personal information will be treated as you access and interact with the Gubba website. As the Gubba website develops and as technology evolves, Gubba will continue to strive to provide you with better and more customised services and with a more effective website. Gubba encourages you to review the Security and Privacy Statement periodically because the Security and Privacy Statement may change from time to time. In addition to the provisions of this Security and Privacy Statement, there may also be specific and additional privacy provisions which apply to certain sections of the Gubba website. Because those specific and additional provisions also relate to your privacy protection, you should review them wherever they are accessible by you on the Gubba website. In the event of any inconsistency between the provisions of this Security and Privacy Statement and those other specific and additional provisions, the specific and additional provisions will prevail. Gubba regularly reviews developments in security and encryption technologies. Unfortunately, no data transmission over the Internet can be guaranteed as totally secure. Accordingly, although Gubba strives to protect such information, Gubba cannot ensure or warrant the security of any information you transmit to us or from our online products or services and you do so at your own risk. Once we receive your transmission, we take reasonable steps to preserve the security of the information in our own systems. The information that Gubba collects about you depends on how you use the facilities offered by the Gubba website. If you visit an unsecure area of the Gubba website (that is, an area where you are not required to log on) to read, browse or download information, our system will record the date and time of your visit to our site, the pages viewed and any information downloaded. In addition, our system may record personally identifiable information while not logged in. If you complete any fields in online forms or surveys on the Gubba website, the information that you enter into the online form or survey will be stored in the Gubba database. It is necessary for Gubba to collect your IP address for your interaction with various parts of the Gubba website. Your IP address is the identifier for your computer when you are using the internet. For instance, Gubba collects and stores your IP address when you log into the Gubba website. As part of our security for Gubba we use this information when we attempt to detect and prevent fraudulent transactions. We store your IP address for security and audit purposes. Your IP address will not be used by us or released to any third party except in the case of security, inappropriate behaviour or fraud issues, such as unauthorised access to your or our computer systems or fraudulent transactions. 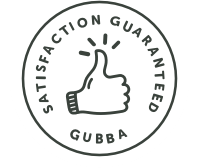 Accordingly, if you wish to make full use of the Gubba website, it is required that you accept cookies. We will preserve the content of any e-mail that you send us, if we believe that we have a legal requirement to do so. Your e-mail message content may be monitored by our Gubba employees for security issues including where e-mail abuse is suspected; our response to you may be monitored for quality assurance issues. This is the current Security and Privacy Statement. It replaces any other Security and Privacy Statement for the Gubba website published on the Gubba website to date. Gubba may at any time vary the Security and Privacy Statement by publishing the varied Security and Privacy Statement on the Gubba website. You accept that by doing this, Gubba has provided you with sufficient notice of the variation.